Instead of trying to write a separate article from each of these inspirational videos or images, I thought to highlight what I want to say in bullet points, and back it up with a real life story. I have been accused for repeating myself. I have been accused for repeating myself. When I watched the World Juniors, I was heartbroken by the Men’s 4×400 Nigerian Team. Not only did the 2nd leg run in Lane 4 the whole lap when he should have cut for the pole after the first curve, they missed out on the 8th and final spot for the finals (3:09.37 for 9th, vs 3:09.22 by the Australian Junior Team) . Chances are, Nigeria probably wasn’t in the hunt for a medal (3:04.47 was bronze), but if you fly all the way from Nigeria to Eugene, you better make the finals and anything goes. Kudos goes out the 2nd leg Nigerian who was so focused he didn’t even look behind or the scoreboard. Then again, if he did, he would see his mistake and cut for the pole position and squeezed in for the Finals. Video on YouTube is here. 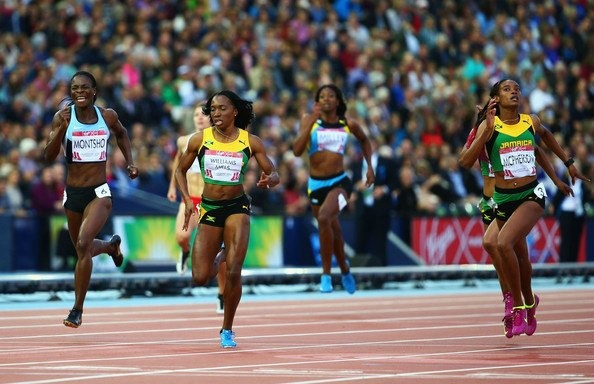 At the 2014 Commonwealth Games in Glasgow, the pre-race favourite was Amantle Monsho. 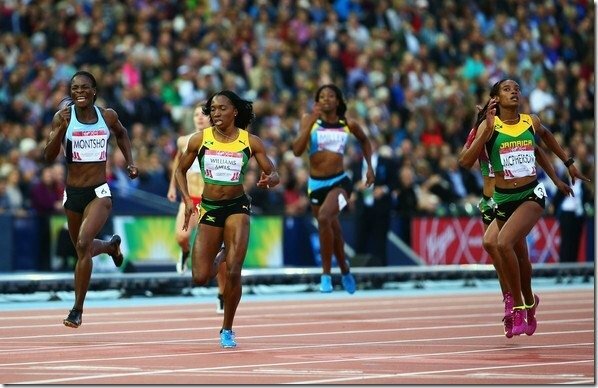 She took out the first 300m so fast, that she sucked Novolene Williams-Mills along with her. I think we all saw what happened (I can’t find the race on YouTube) but Monsho faded to 4th pace and out of the medals, and Williams-Mills (who was my 2nd choice to win the race) ended up 2nd. Stephanie McPherson won, and Christine Day finished 3rd for a Jamaican sweep. 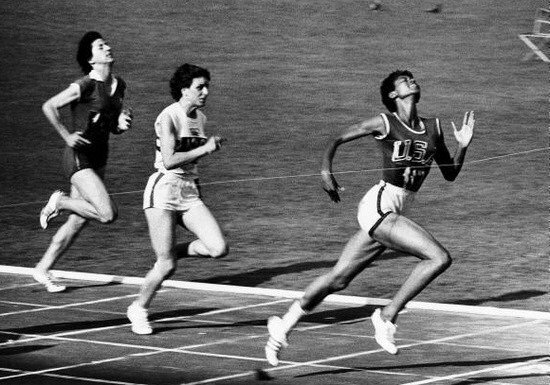 Stephanie McPherson ran her own race, and won. 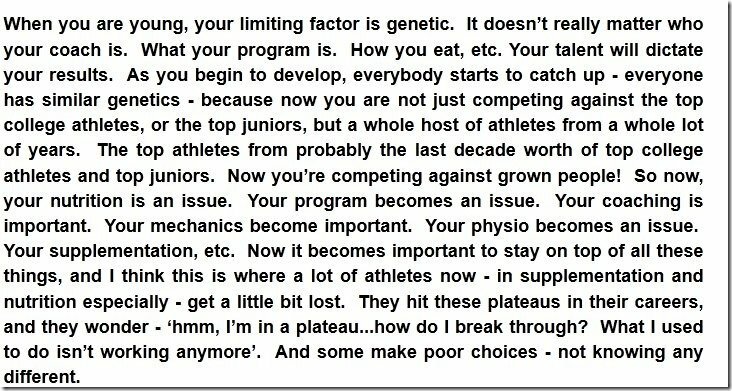 A lot can go wrong in the 400 meters, and balancing your energy systems is vital. 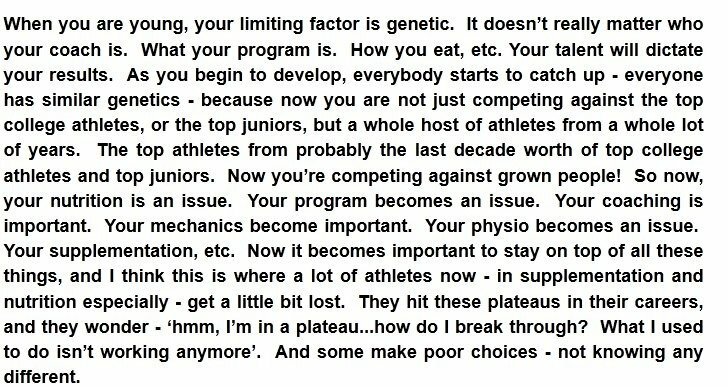 Simon Nainby posted a photo on Twitter that was a summary from WAC coach Stu McMillan. RESEARCH proving something we already know… there are TWO transitions during maximal accelerated sprinting, dividing the entire acceleration phase into THREE sections. Twelve male sprinters performed a 60 meter sprint, during which step-to-step kinematics were captured using 60 infrared cameras. To detect the transition during the acceleration phase, the mean height of the whole-body centre of gravity (CG) during the support phase was adopted as a measure. Detection methods found two transitions during the entire acceleration phase of maximal sprinting, and the acceleration phase could thus be divided into initial, middle, and final sections. Depending on your fitness and top end speed, the distances in your phases may vary. 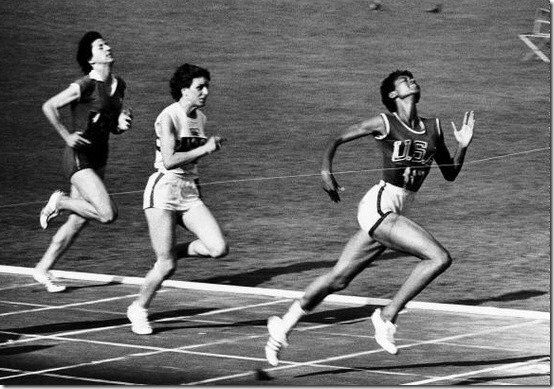 Temple was Head Women’s Track and Field Coach at Tennessee State University for 44 years and was Head Coach of the U.S. Olympic Women’s Track and Field Team twice, in 1960 and 1964. His team at TSU was nicknamed The Tigerbelles. 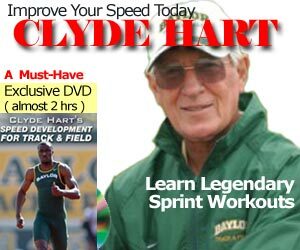 He coached Wilma Rudolph, Wyomia Tyus, and more “recently” Chandra Cheeseborough. Year in Review: Michelle Jenneke pre-race Dance? Wyomia Tyus Did it First!